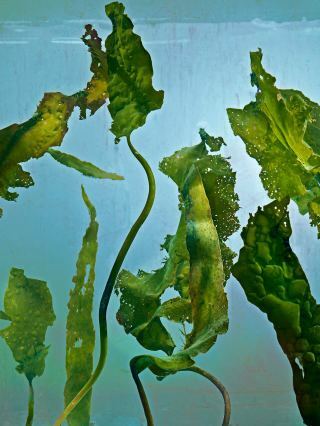 New Yorker - "A New Leaf: Could seaweed become the next superfood?" Seaweed can be rich in protein, Vitamin B12, and trace minerals. Iodine and omega-3 fatty acids, which many seaweeds have in abundance, are essential for brain development; some researchers believe seaweed may have played a role in the rise of Homo sapiens. Archeologists have posited a “kelp highway,” to describe the coastal migration of the early Americans, some fourteen thousand years ago. Among modern Westerners, it has largely been treated as the food of last resort, a hedge against starvation that lingers nostalgically in corners of authentic cooking after the crisis wanes."